With so many changes in the credit card industry, many consumers find themselves wondering just how far those changes go; is there new terminology they should be familiar with (Do you know what the CFPB is?) and what exactly is the difference between a secured credit card and a prepaid credit card? This week, we delve into some of the most reliable sources to update you on some of these new changes while also reiterating those traditional terms associated with your credit cards. For our purposes, we turn to the federal government, specifically, the Board of Governors of the Federal Reserve System and we also checked out the biggest names in the credit card industries just to be sure we left no stone uncovered. Whether you’re a young adult who’s just received her first Visa or are a seasoned consumer with years of juggling your finances, you’re sure to find something worthy in our updated credit card glossary. Annual fee: This is an annual fee that a credit card company charges a consumer for the privilege of using it. These fees vary greatly. The Visa Black has a $495 annual fee while some of the other popular credit card companies lure their customers with a no annual fee offer. Annual percentage rate (APR): In the context of one’s credit cards, the APR is the cost of credit expressed as a yearly interest rate. Your billing period (usually thirty days) means your credit card company will be computing and adding to your balance the periodic rate. Application fee: Often, you’ll read one of our posts that stresses a particular credit card offer comes with no application fees. Many no longer charge these; however, some still do, including many prepaid credit card offers. They too will vary according to the offer. Balance transfer: The act of transferring debt from one credit card account to another. Balance-transfer fees may apply. Consumers like these options because they’re often afforded an extended 0% APR for their balance transfers. This means they can pay down their debt interest free for the course of the intro period. Balance-transfer fee: A fee charged when you make a balance transfer. It may be a flat fee or a percentage of the transfer. Some credit card companies sweeten their offers by waiving these fees. Cash-advance fee: We love our ATMs and the ease in which we can take out a cash advance is hard to resist. Your cash advance fees are charged for those cash advances. They may be a flat fee or a percentage of the cash you withdraw. Credit card agreement: A document that outlines the terms and conditions for using your credit card. It is your official contract with the credit card company. Credit counseling service: A service that employs credit counselors who will look at your financial situation and help develop repayment options. They may be able to negotiate with your credit card company. They may charge a fee for their services. Credit limit: The maximum amount you are free to spend or borrow on your credit card. Credit-limit-increase fee: A fee charged if you ask for and receive an increase in your credit limit on your credit card. Credit report: A history of your loans, bill payments, mortgages, bankruptcies, foreclosures, judgments and other financial goings-on in your life. These reports are maintained by the credit bureaus. Lenders and insurers use information from credit reports, along with your credit score, to set loan and insurance rates. Also called a credit history. Credit score: A number that summarizes your credit record and history. The score is based on several factors, including whether you pay your bills on time, your current level of debt, the types of credit and loans you have, and the length of your credit history. Lenders and insurers use your credit score and information from credit reports to set loan and insurance rates. Debt suspension coverage: Usually an optional (though affordable) service on your credit cards that stops your payments during periods of unemployment, disability, or other situations covered by your contract. You will still need to pay back the debt after the situation ends. Fixed-rate APR: An APR set at a certain percent that cannot change during the period of time outlined in your credit card agreement. If your company does not specify a time period, the rate cannot change as long as your account is open. Interest-free period: The number of days you have to pay your bill in full before an interest charge is assessed on purchases. Interest rate: The price paid for borrowing money. 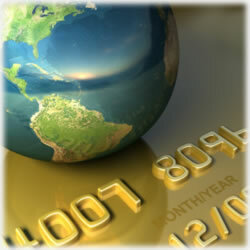 Introductory APR: The APR charged during the credit card’s introductory period after a credit card account is opened. The card reverts to the different APR once the intro period expires. Late-payment fee: A fee charged if your payment is received after the due date. Minimum interest charge: The minimum amount of interest you will be charged if you are charged any interest. For example, if your total interest charge is $0.75 but the credit card company’s minimum interest charge is $1.00, you will be charged $1.00. Opt-in: Giving your credit card company or bank permission to include you in a particular service. Opt-out: Declining a particular service offered by your bank. Over-the-limit fee: A fee charged if your account balance goes over your credit limit. Penalty fees: Fees charged if you violate the terms of your cardholder agreement or other requirements related to your account. Premium credit card: A credit card that offers high credit limits and often has additional benefits for those with remarkable credit scores. Retail credit card: A credit card associated with a retail store. Secured credit card: Secured cards typically require a cash security deposit. The larger the security deposit, the higher the credit limit. Usually, secured cards are used to build credit by those who don’t have a long credit history or those who have had credit problems in the past. These are not to be confused with prepaid cards, which require you to put your cash on the card and use it as your credit limit. Workout agreement: A type of debt management plan. Keep in mind, this list is not all-inclusive. If you’re unsure or have questions about any aspect of your credit ratings, credit cards or other financial considerations, be sure to contact your banker or accountant.